Putting together a year-end list has become a standard annual ritual for critics, bloggers, and even your everyday movie fan. While understanding that any rankings of movies are extremely limited, it's still fun to look back at the past 12 months. I didn't see as many new releases in 2012 as past years, but there were still plenty of strong choices. Reviewing my list, I was surprised by just how few foreign films I'd seen. While seeing classics from legends like Herzog and Bergman, I didn't catch up with enough new directors from across the globe. I'm hoping to rectify the situation in 2013, but it may be difficult. There are incredible events happening at home this spring. Regardless, I still had plenty of excellent options this year. The top choices were pretty easy, but the differences between the last few and the honorable mentions are very slim. My top ten usually doesn't include many big-budget films, but I admit those were some of my favorite experiences. After checking out my list, I'd love to hear what your favorites were from 2012. This is the best part of reading all the posts; they point me towards interesting selections that hadn't reached my radar. This low-key story about a possibly crazy guy (Mark Duplass) who claims to travel through time is a cool surprise. We expect that his claims will be played for laughs, but the screenplay refreshingly paints him as a fairly normal guy. Aubrey Plaza shines in the lead role, which allows her to expand on her typical persona. She brings great heart to an intern who's slowly drawn in by the unconventional guy. Although it concerns time travel, that's just a small part of this human tale of people trying to overcome a past loss. It's a charming gem that hopefully will build a much larger audience outside of the theaters. Let the Joss Whedon love-fest begin! Although he did not direct this clever take on the horror genre, most of this release's attention focused on Whedon. This isn't fair since it pushed aside Director Drew Goddard, who wrote Cloverfield and many episodes of Buffy and Angel. Working together, these guys craft a fun and original look at the tropes of the slasher film. I'm not a big fan of horror movies, but I've seen enough to recognize the in-jokes. Bradley Whitford and Richard Jenkins bring heft to the scientists with the job of sending teens to their deaths. What lifts up Cabin in the Woods is its completely insane final act, which wreaks serious carnage from all types of creatures. It's a fun romp that reminds us of the genre's silliness without reverting to total camp. It's been several months since I checked out this ambitious tale from Paul Thomas Anderson, and I'm still not sure what I think of it. It may deserve to be higher or could be off the list completely. Which is it? The fact that Anderson's created such an equally intriguing and frustrating work makes it worth checking out. 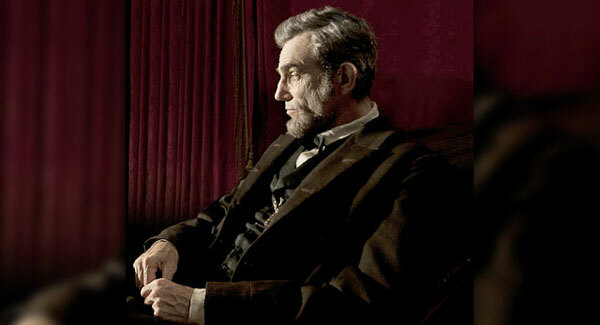 The acting is excellent, though Joaquin Phoenix's mannerisms are a bit much after several hours. Even so, he's so engrossed in creating this vile guy that I have to give him credit. 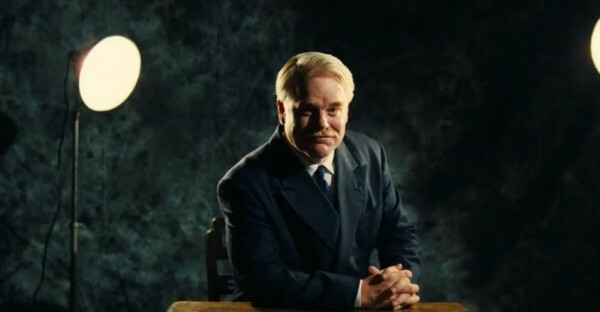 I didn't have the opportunity to see The Master in 70 mm, but it still is a striking movie. Anderson makes both the grand outdoor sequences and intimate conversations beautiful, which isn't easy. It won't rank with my favorite experiences, but the weighty issues and great acting earn it this spot. One of the most intriguing films of this year was Benh Zeitlin's debut feature, which depicted characters living in serious poverty in Louisiana. Although they're struggling to stay afloat, this is hardly a dour story even when a massive storm arrives. 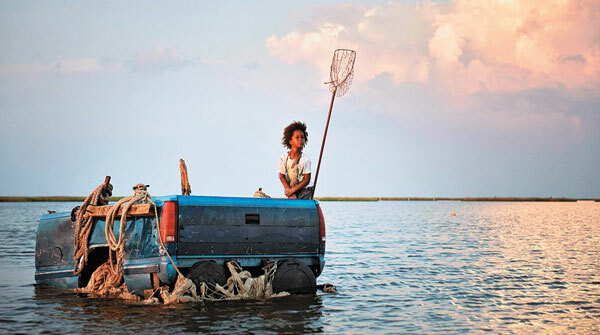 The revelation is the lead performance of Quvenzhané Wallis, who plays the six-year-old lead character Hushpuppy. Zeitlin is trying to do a lot more than showcase these characters and is commenting on the destruction of nature. He doesn't completely succeed, but it's such an engaging attempt that it deserves this spot on the list. The images are stunning as we journey with Hushpuppy and discover more about this unique environment. 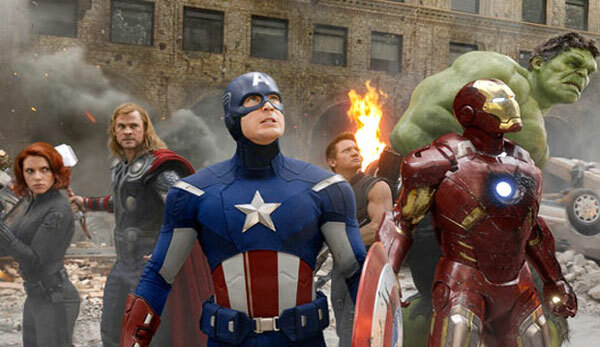 After all the build-up and expectations during the past few years, there were many ways that The Avengers could have failed. Amazingly, Joss Whedon finds a way to deliver a movie that serves both comic-book fans and mass audiences without alienating either group. I love Whedon's style, and he finds a way to throw some of his trademark humor into the mix. I'll join the massive chorus and praise Mark Ruffalo's work as The Hulk, which lives up to the hype. The other actors all bring their best work, even Scarlett Johansson in a possibly throwaway role. When the effects take hold in the last act, we're still into the story because the characters are so engaging. It's a team effort, and everyone gets a big moment to save the day. It's easy to dismiss this movie because it's such a breezy experience, but that wouldn't do justice to Whedon's achievements. What makes this new look at one of the most famous U.S. presidents feel different is its strict focus. Instead of trying to give a broad look at Lincoln's life, Steven Spielberg and Writer Tony Kushner look specifically at a few months from 1865. This gives us plenty of time to get to know all the key players in the battle to pass the 13th amendment. Daniel Day-Lewis underplays the lead role but clearly shows us the brilliant mind that's working behind the casual demeanor. Lincoln wants this amendment passed by any means necessary. David Strathairn, Tommy Lee Jones, a scenery-chewing James Spader, and many others bring depth to this compelling historical drama. Spielberg takes his time and indulges a few too many speeches, but they rarely diminish the impact of this excellent film. When thinking about what I expect from a franchise movie, the key factor is taking the formula and pushing it to greater heights. It's okay to use the best elements that made that series a success if you do something interesting with them. Sam Mendes takes over the reins for the third appearance of Daniel Craig, and they deliver one of the best action films in recent years. 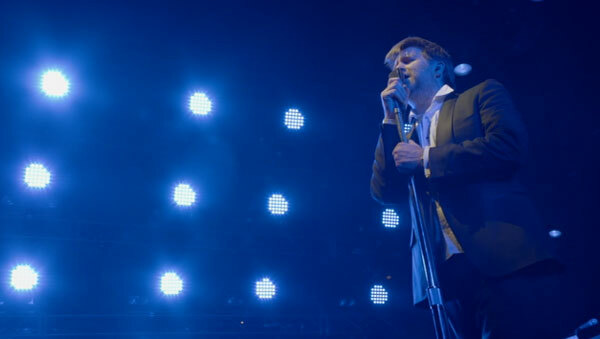 They continue the excellent run beginning with Casino Royale and pay homage to many of the past Bond movies. The highlight is Roger Deakins' gorgeous cinematography, which stands out during the quieter moments. Mendes is clearly influenced by Nolan's Dark Knight trilogy and brings a greater emotional component to what's often been a silly franchise. Craig is up to the task, and Javier Bardem's over-the-top villain ranks among the best in the series. Judi Dench gets a larger role as M and brings depth to the connection between the agent and the boss who may not have his best interests at heart. There's something to be said for making a movie that doesn't proclaim itself as "important" from an artistic standpoint. 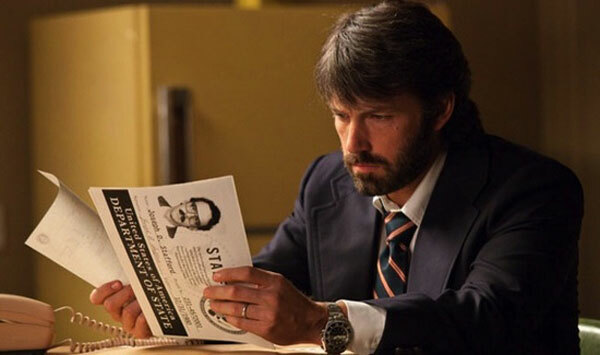 Ben Affleck is clearly influenced by the '70s political thrillers in Argo, but it rarely feels like a throwback. He finds a way to combine a modern sensibility and satire on Hollywood with the real-life story. The chaotic situation in Iran is believable without drawing too much attention to itself. The ensemble piece stands out because it differs from much of the other mainstream fare in 2012. It's a dramatic film that takes its time and rarely goes for the cheap thrill. By the time the hostages have reached the airport and are excruciatingly close, we clearly understand the dire stakes. It's great entertainment that provides two hours of fun without leaving our brains at the door. Time-travel movies are tricky because they risk collapsing under the weight of complex plots. Rian Johnson recognizes this fact in Looper and deftly side-steps every obstacle. While still creating a cool premise, he focuses on the emotional challenges faced by Joe (Joseph Gordon-Levitt) when confronting his future self. The amazing part is the way that it takes a serious left turn in its final act that wasn't spoiled by the previews. The stakes grow exponentially for the selfish guy, who realizes that the world's future hangs in the balance. Paying homage to the best films of the genre like The Terminator, this smart thriller rolls towards a surprising end and keeps you guessing the entire time. Whit Stillman triumphantly returns with his first movie in 1998, and his biting wit remains firmly intact. This story is basically a fantasy about college life that works because of the engaging characters. Greta Gerwig is perfect for the lead part of the well-meaning, yet slightly delusional Violet. Along with her friends Rose (Megalyn Echikunwoke) and Heather (Carrie MacLemore), she employs unconventional methods to help troubled college students while igniting a new dance craze. The whimsical style isn't for everyone, but there's plenty of charm if you're willing to take the ride. There a lot of silliness from the self-involved characters, who lack awareness but are still likable. I'm really hoping that this is the start of another grand run from Stillman that rivals his best work in the 1990s. I'm a Wes Anderson fan and love Rushmore and The Royal Tenenbaums, but my expectations weren't high for his latest movie. The preview made it seem not that different from his past work. Right from the start, it was clear that my expectations were totally wrong. Moonrise Kingdom is a wonderful film that shows Anderson's best qualities, but with a lot more heart. 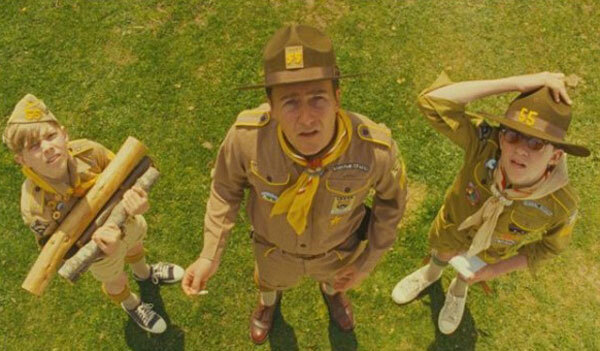 Even the usually serious Edward Norton does a great job as the well-meaning Scout Master Ward. Bruce Willis is also surprisingly good playing against type as the meek Captain Sharp. While the adults are strong, the true strength is the relationship between 12-year-old Sam (Jared Gilman) and Suzy (Kara Heyward). Their young love never drifts into uncomfortable territory and drives the story. Anderson inserts plenty of his quirky touches, but they fit perfectly within this world and deliver my favorite movie of the year. These five honorable mentions were extremely close to cracking this list. They're organized alphabetically and are essentially tied for the 12th spot in my mind. I'd love to hear about your favorite movies from the past year. Which movies should I add to my watch list? You should also check out past Top 5 Lists if you've missed them. Damsels in Distress! I'm always glad to find other fans of this film. What's your favourite Whit Stillman film? For a long time, it was Barcelona, which I've watched a bunch of times. After watching Metropolitan a few times recently, I'm not 100% sure now. They're pretty much dead even for me, and Metropolitan may be slightly higher. But I'm guessing it would change based on the last one that I've watched. What is your favorite? I don't think you can go wrong. Last Days of Disco is also great. I'd say go for them all! The nice thing is that there are only three. Good list! Though it makes me feel like a grump... I thought The Avengers and Skyfall were very good for what they were, but both suffered from big problems that would keep them off my list (that is, if I had seen enough new movies this year to even make one). I thought The Avengers had a pretty terrible villain/threat and way too many contrivances and plot holes, even with all the great character moments. I think Whedon was stuck by having to use Marvel's pre-set plans for Loki as the villain, the cube thingy, etc., but there was still a bunch of stuff that bugged me, one of which was Loki's nonsensical plan, which then happens to be the exact same plan the villain in Skyfall uses. I hope after this year screenwriters have officially retired "You only THINK you captured me, but it was all a part of my diabolical plan!" as an overused trope. I also kinda hated the last half hour or so of Skyfall. The Home Alone stuff was just way too silly for me, and not in a Bond movie way. Also the old caretaker who just hung around Bond manor for a few decades in case any heirs stopped by. Overall, both good movies, both worth re-watching, but their rapturous reception keeps me scratching my head a little. I also didn't really like the way Looper took a turn, mostly because all the stuff about telekenesis was rather random, but I do love a good time travel movie and it was certainly stylish. That one I will see again. The Cabin in the Woods was fun but the first act was a little too good at being a terrible horror movie for me to stay interested. The last act was great despite some terrible special effects. I thought Safety Not Gauranteed went one step too far in the fate of the two main characters. A bit more ambiguity would have made it a more interesting movie. Still, it was fun. It's interesting that you mention the "let me capture you" scenes. 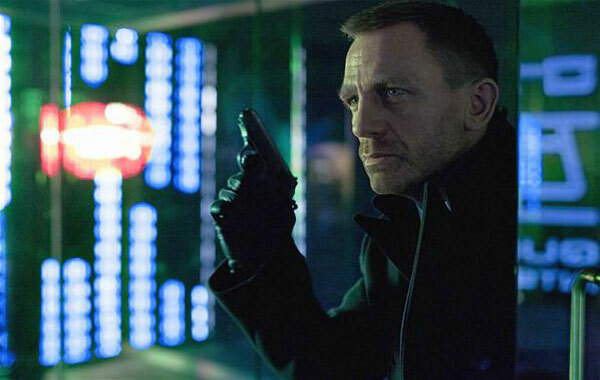 With Skyfall, that was my only significant complaint because it felt so much like The Dark Knight with the Joker. So much had to happen for the bad guy's plans to work out right. Even so, I thought there was still a lot to like to put it on there. Part of the reason is that I didn't see as many new movies in 2012, so those films may have dropped if I'd seen indie darlings like Holy Motors, This is Not a Film, and others. But it's hard to say for sure, as I did really enjoy those movies. With Looper, I liked that we hadn't really heard much of the mind powers until that point. It turned what seemed to be a pretty predictable movie and made it a lot more intriguing for me. I can see what you're saying, though. 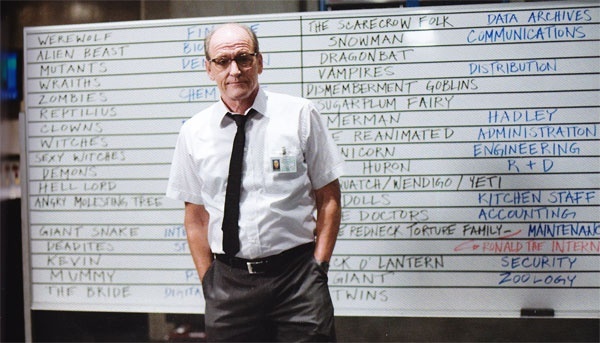 The first act of Cabin in the Woods does take a bit too long; it's saved by Whitford and Jenkins in the office. Once it gets rolling, though, I feel like it makes up for any of those issues. Thanks Joel! What was your favorite movie of 2012? I haven't seen much with the baby around... all these movies would be on my list just because of that. it will probably be django unchained, once I see it. unless you count the 10th time I watched Scott Pilgrim on bluray. I totally understand about not having the chance to see as many movies. Our second girl is due in late March, so I'm pretty sure there won't be a 2013 list. It's a lot easier to catch movies at home than go out with an infant. I've had the Scott Pilgrim blu-ray at home for a while and need to re-watch it again. Never a bad move. Curious to see Damsel in Distress now, I'm not familiar with that filmmaker. Nice to see a film with so many female cast. Man I missed out on Beasts of the Southern Wild, bummer! Gotta rent that when it's available on iTunes. Ruth, I definitely suggest that you check out Damsels in Distress. I will say that it's one of those movies that you'll probably love or strongly dislike. It's "quirky" in a certain way that can alienate some viewers. I expect Beasts of the Southern Wild should be out soon. It came out over the summer and is on DVD, so I'm guessing it's in the works. Solid picks here. Damsels in Distress... damn, I still need to pin that one down. I've heard such polarizing things about it. Very curious now. Thanks Alex. With Damsels in Distress, I agree that the responses have been all over the map. I'm curious to hear what you think about it if you get the chance to see it. I think my favorite movie of the year is probably Holy Motors. Dave, I've heard a lot of great things about Holy Motors, and it sounds like an intriguing film. I can't wait to see it. Awesome list, Moonrise Kingdom is one of my favourites of the year as well. Will have to seek out Damsels in Distress, I've seen it on a few best lists now! Thanks Alex! Glad to hear that you're also a fan of Moonrise Kingdom. Damsels is drawing a very divisive response, but I definitely think it's worth checking out. Interesting list, Dan. Love seeing Skyfall in the top 5. I MUST rewatch Moonrise Kingdom before I make my list. Josh, did you like Moonrise Kingdom when you saw it the first time? I'm also looking forward to checking out Skyfall again too. It definitely deserved to be up there. Thanks! Yeah, I liked Moonrise Kingdom initially, but it's currently outside my top 10. I've actually been a little surprised by all the love for Moonrise Kingdom since Anderson has a lot of haters. It's been pretty refreshing. It kills me that I still haven't seen Moonrise Kingdom and Beasts OTSW. I'm actually not a big Wes Anderson but I'm hoping Moonrise might be the one to covert me. Pete, while I liked Moonrise Kingdom more than some of his other recent movies, I'm not sure it's going to convert you to Anderson fandom. Still, there has been a lot more acclaim for Moonrise than anything he's done in a while, so I could be wrong. Beasts of the Southern Wild is definitely worth checking out, though I know it has some detractors. I haven't seen a couple on your list (Damsels in Distress and Safety Not Guaranteed). I was lukewarm on Skyfall, although I think of it more as a vehicle for a reimaging of the franchise than a true entry in the franchise. I probably would have added The Perks of Being a Wallflower and maybe, The Amazing Spider-Man, but I realize that puts me in a VERY small minority. Alan, I understand what you're saying about Skyfall, but don't you think the re-imagining happened more with Casino Royale? This one is setting up the more traditional Bond set-up with M, Moneypenny, Q, etc., but it's still in line with what started in Casino Royale. I haven't seen The Perks of Being a Wallflower, but I've heard good things. Amazing Spider-Man was entertaining; it felt pretty familiar, but I liked what they did to adjust the tone of the franchise. Vern, Metropolitan is available in a pretty great Criterion release if you're looking to buy it. 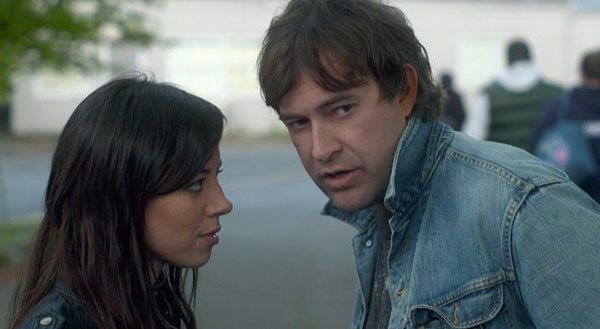 I can see why Safety Not Guaranteed might not work across the board. It's interesting that if I were going to make a list (which I won't), it would be similar to yours. Certainly it would include Beasts of the Southern Wild and The Master and Lincoln. My list wouldn't include Skyfall or Cabin. But I approve of your boldness to put the Avengers on! It was easily the most fun I had at the movies all year. Steve, I wondered if The Avengers should be on here at first, but when I had about my favorite movie-going experiences of the year, it had to be on there. I'm a big Whedon fan but still wondered if such a big-budget commercial venture could feel unique. That's what made it so surprising and fun. I had a feeling you would include Damsels in Distress, Dan. :) I still need to see Lincoln, but I really like the rest of your list. I think this has been a generally strong year in film, and I feel like it would be easy to go for a top 20 (or maybe even more). Probably best to restrict it to a top ten, though. Nice job! Eric, I hate to be predictable, but what can I do? (: I agree that there were plenty of good options this year. I haven't even seen a lot of films that are showing up on lists, and I still feel confident about my picks.That's the sign of a good year. You and your love for Stillman lol. Otherwise a great list. We have a few crossovers. Glad to see some love for The Grey at the end there. Yes, my love of Stillman may have played a role in my enjoyment of Damsels in Distress. I keep thinking that people are going to watch it and then send me hate mail. The Grey was a lot more interesting than I expected. The final act was so much different because it wasn't the straight-up horror film I anticipated. Thanks Nick! I'm especially happy to see Looper high up on the list. Our lists have quite a few overlaps, though you have a few movies that will be 2013 movies to me since they haven't opened in Sweden yet. I've actually been a little surprised not to see more love for Looper on year-end lists, at least from bloggers. A lot of people seemed to really like it, but I've only seen it in a few cases. It still was one of my favorite movie-going experiences this year. By the way, congrats on winning the Golden Katz Award! Great list Dan! Only have not seen (or heard of) Damsels in Distress, will try to check that one out. Thanks Nostra! I still feel like there were so many great options that I missed, so I have plenty to catch up with in the next few months. It's great to see someone else include Looper in their top five. A very underappreciated film. Thanks Colin. I've been surprised that Looper hasn't received as much year-end acclaim. When it came out, there was a lot of praise, but that was before the year-end push of other big movies. I was hoping for a Best Screenplay nomination in the Oscars, but it wasn't a huge surprise to hear it left out. Awesome to see Looper so high on your list - it's currently my number 3 as well, right after TDKR and Killer Joe and whatever happens I think it will be in top 5. I thought it was the most original sci-fi movie since The Matrix. Looper is definitely up there for originality in the past decade of sci-fi films. I really liked the way it paid homage to other movies while keeping us guessing right up to the end. It's such an intriguing premise, and Johnson does a lot with a fairly modest budget. Thanks Sati! Thanks so much! I feel like there are some movies that I wanted to see and haven't yet, but I'm still happy with all the picks. 'Moonrise' at number 1? HELL YES. That movie didn't get even half of the love that it deserved. Thanks. When I saw Moonrise Kingdom over the summer, I figured that something from the second half of the year would overtake it. But it never happened. It was a pretty easy choice, though I still have a lot to see. 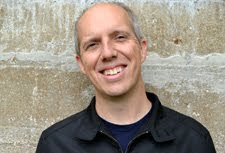 Oh Joel. I kind of enjoy the disagreements with you, though I definitely respect your opinions. Part of the issue may be the fact that I haven't seen all of the big movies, though Looper and Argo still would likely be on there. I'm also assuming that you wouldn't list Skyfall either given your feelings of Mr. Craig. I submitted my picks for Lion 4 LAMBS this morning, so they're in the books! I expect that other members won't help to push Damsels in Distress over the top, but I can only hope. Hi Bob. I can't really argue too strongly against your reaction to Damsels in Distress, especially since you haven't been a big fan of Stillman's other movies. I've heard similar thoughts from a lot of people, so I know that I'm in the minority. I became a huge fan of Stillman in the '90s and was thrilled to see him come back so well this past year. I've thought about revisiting The Master on Blu-ray, but I'm struggling to get that excited to do so. It stinks that your TV has been out for a while; that has to be no fun. Thanks!